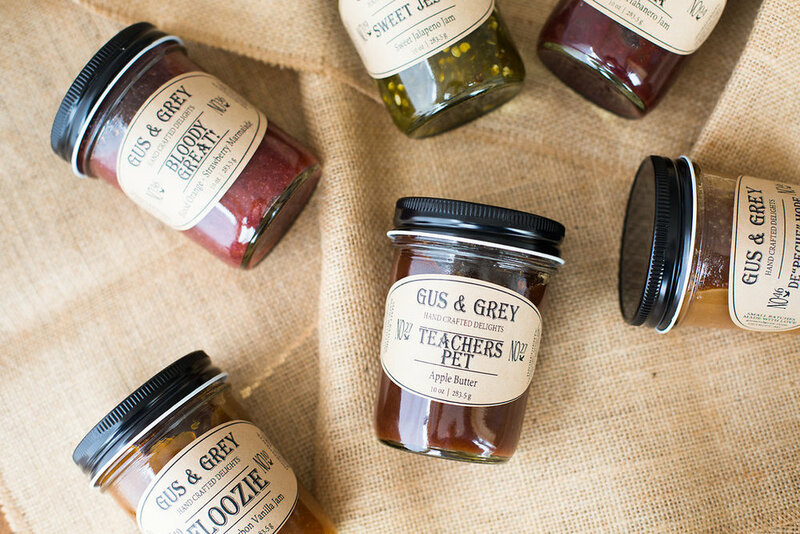 We are committed to sourcing fresh food and artisan products from the state of Michigan. 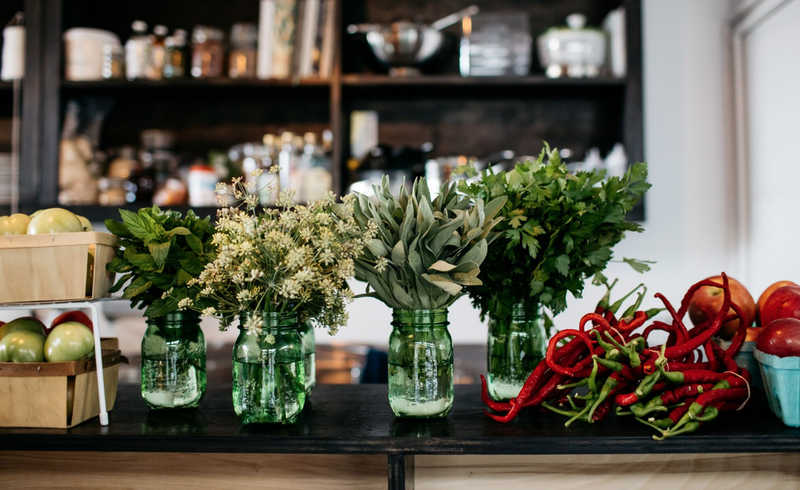 Located at the corner of Bagley and Trumbull Avenue in Detroit’s Corktown neighborhood, The Farmer’s Hand is a gourmet grocery and take-out counter. Tiny but mighty, we source 100% of our products from small-to-mid-sized food partners that maintain ethical, sustainable, humane food practices. We work to strengthen the relationships between our shoppers and the sources of food, beverages and products they consume. 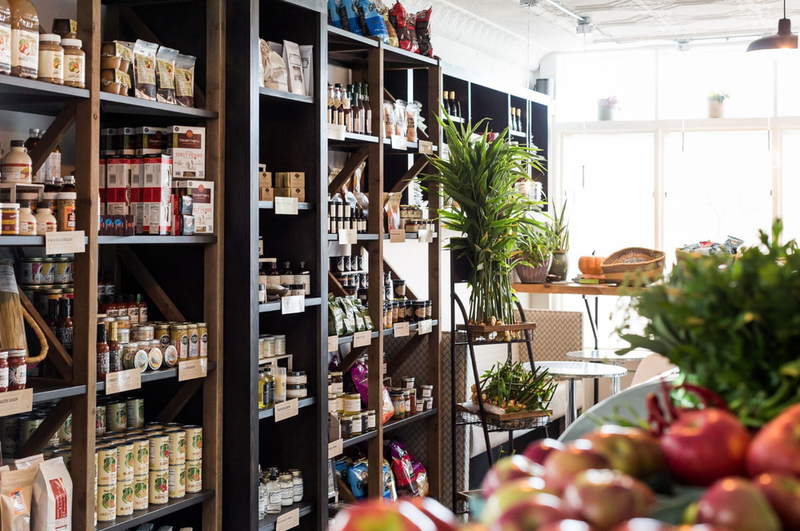 Located in the historic neighborhood of Corktown, The Farmer’s Hand is a gourmet grocery offers a thoughtful selection of artisan food and beverage products. Within the grocery, a small take-out counter offers easy, grab-and-go breakfast and lunch items, seasonal vegetarian sandwiches, gluten-free salad options, tea, coffee, and pastries. We are pleased to offer award-winning regional cheeses and charcuterie, which can be purchased in store or special ordered for small & large catered events. Email info@thefarmershand.com for catering price list and details. 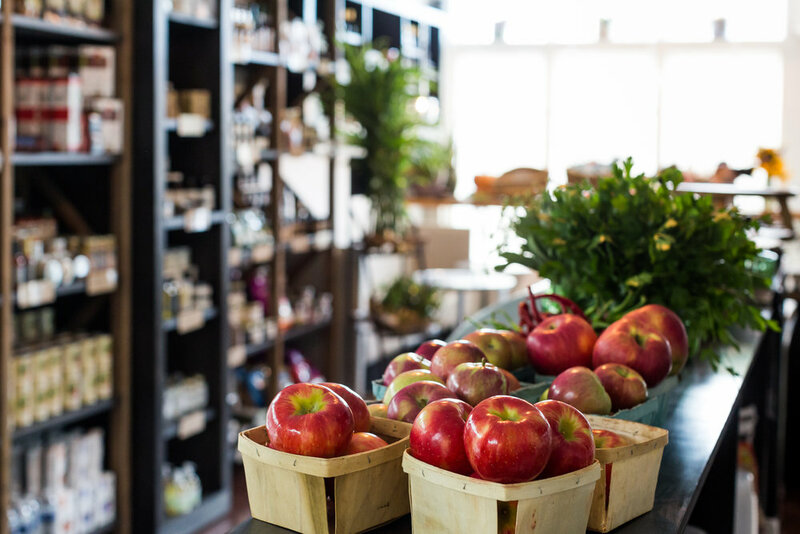 THE FARMER'S HAND PROVIDES DETROIT RESIDENTS AND VISITORS WITH A LOCALLY-FOCUSED, ARTISANAL GROCERY AND CAFE. Since opening The Farmer's Hand in 2016, co-owners Kiki Louya and Rohani Foulkes brought their vision of an locally-focused market to life, making it easier than ever to shop Michigan products - in one single stop. Today, The Farmer's Hand works with over 100 small-to-mid-sized food businesses to bring together an array of fresh foods and speciality products all year-round. We are committed to sourcing fresh food and artisanal products. We work with small-to-mid-sized businesses and return to them a higher profit margin than most traditional grocery models. We support partnerships that foster our mission to grow local agriculture in a way that is environmentally friendly and sustainable. Tantre Farm was established as an organic farm in 1993 in Chelsea, MI. The farm, spanning 115 acres, provides a diverse mix of certified organic fruits and vegetables to The Farmer's Hand. 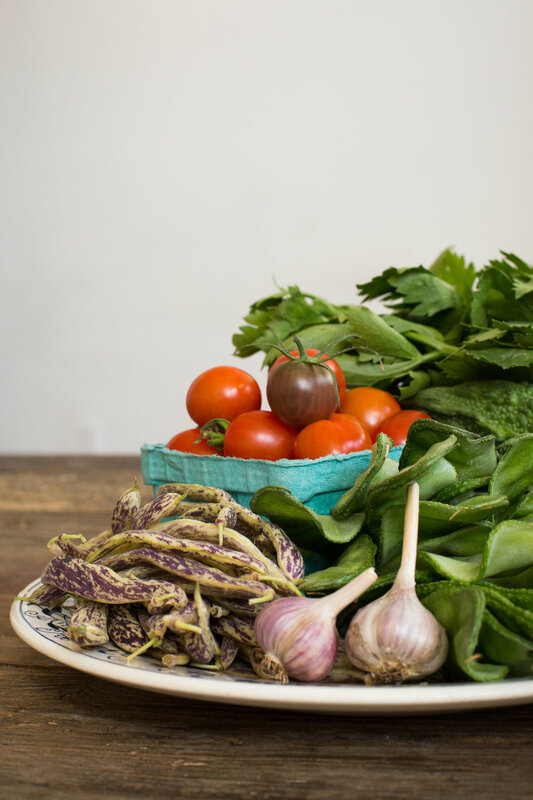 Tantre Farm produces fresh, healthy foods for the local community, provides a healthy quality of life for its farmers and sustains the economic viability for the farm with care and respect for nature's diversity. Food Field was established in 2011 as a small urban farm in Detroit. Situated on the former site of Peck Elementary School, Food Field joins the revitalization of the city by developing a successful, community-based business that aims to meet the need for local, affordable and sustainably produced food in Detroit. Food Field provides The Farmer's Hand with an array of seasonal greens, herbs, and much, much more! Ernst Farm represents a family-owned farm on 220 acres in Freedom Township, MI. Currently on its fifth generation of ownership, this centennial farm provides all natural beef, pork, lamb and grains to The Farmer's Hand. Ernst Farm does not use hormones, antibiotics or additives to feed their animals. Harnois Farms, is located in Webster Church Township, just outside of Ann Arbor, and is owned by farmer John Harnois. Harnois Farms offers hand-raised, free-range chickens, ducks, eggs, and heirloom turkeys, which are all available at The Farmer's Hand. Hyperion Coffee Company operates its Roastery and Tasting Room in Ypsilanti, MI. Owners roast coffees with tailored profiles to make the most of the flavors naturally found in its single-origin beans. Hyperion Coffee Company offers its signature "Helios" blend at The Farmer's Hand cafe. Their dedication to roasting phenomenal coffees assures that every cup served is traceable, transparent and consistent. Fluffy Bottom Farms is a Chelsea, Michigan-based farm and creamery. All Fluffy Bottom products are made in small batches. Their yogurt is developed from sheep's milk and is rich in live cultures. Most importantly, the farm is part of a larger national movement to bring back family farms and heritage breeds to showcase the finest dairy products. The Farmer's Hand is proud to offer their cheeses and yogurt. Hailing from Cairns, Australia, Rohani Foulkes began her culinary career early with a trade apprenticeship in Trade Cookery. She worked as a professional chef for more than 10 years along the East Coast of Australia before obtaining a bachelor’s degree in Design Technology & Vocational Education at the University of Sydney. Rohani taught as a high school teacher in Sydney and earned her Master's degree in International Education and Policy Development, which led her to a position with the United Nations Education Outreach division in New York. Rohani expresses a deep commitment to honest wholesome food for all, that passion - along with some influence from her Michigan born husband– ultimately led her to Detroit where she joined the team at Gleaner’s Community Food Bank managing community outreach, nutrition education and programming. Kiki Louya is a Detroit native, born into Congolese and Southern American tradition, raised in Rosedale Park. She is dedicated to providing a simple, healthier way for people to shop. Her mission? To make real food — food without artificial ingredients and wholesome, honest local products — accessible to all. Kiki is a graduate of The University of Michigan in Ann Arbor and Le Cordon Bleu College of Culinary Arts in Chicago. She has worked for famed restaurateurs in Chicago like Chris Pandel (the Bristol, Balena) and James Beard Award-winning chef Paul Kahan (Blackbird, avec). As a non-profit event planner, Kiki also helped raise over $5 million to date in funding for non-profits across the country including Vista Maria, The New York Public Library and the Charles H. Wright Museum of African American History. When she's not at the market, Kiki enjoys hiking, camping, bike riding and running. 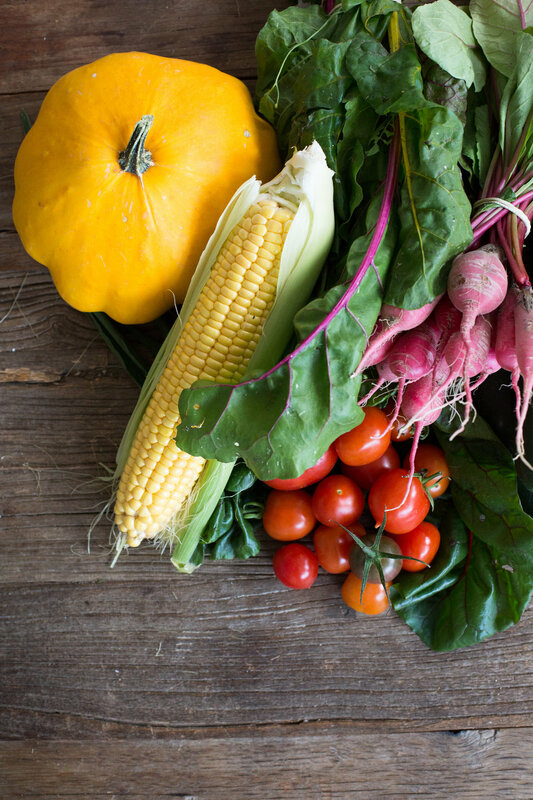 1000 lbs of fresh Michigan-grown produce flows through The Farmer’s Hand on a weekly basis. We are proud to showcase all that our local agricultural community has to offer, and mainly source from farms within 20 miles of our location. Find us in Detroit's own Corktown neighborhood, just three blocks south of Michigan Avenue at 1701 Trumbull Ave., Detroit, MI, 48216. Monday - Saturday | 10 a.m - 7 p.m.
Sundays | 10 a.m - 5 p.m. The Farmer's Hand is proud to support small businesses throughout our great Mitten State--and we are opening our application process for the 2018 season! If you are a Michigan-based farmer who is interested in seeing your product on our shelves, please fill out our "grower" application below. If you have a value-added product, please contact info@thefarmershand.com directly for more info. 1. Before you begin, please review both our FAQs and Partners Handbook. The Farmer’s Hand accepts applications on a rolling basis. Please note, depending on our market needs, review of your application may take up to several weeks.